The existing nature centre will remain open during the construction of the new building. Please follow the signs and enter the building at the back door ramp. The front entrance is no longer accessible. 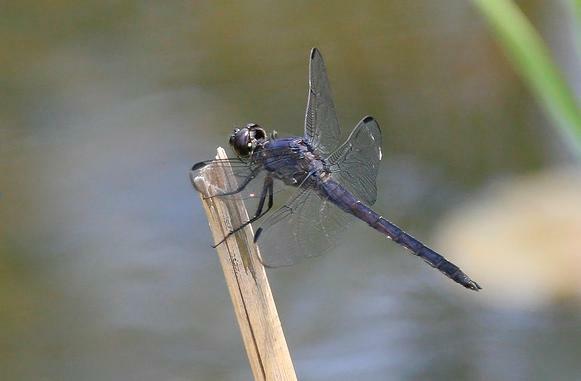 Sunday, July 11: Tom Preney found this beautiful male Slaty Skimmer, Libellula incesta by the pond boardwalk in Ojibway Park today. This is a new species for Ojibway, our 59th species of dragonfly for the local area. Saturday, July 3: The 17th annual Windsor Butterfly Count was held today. 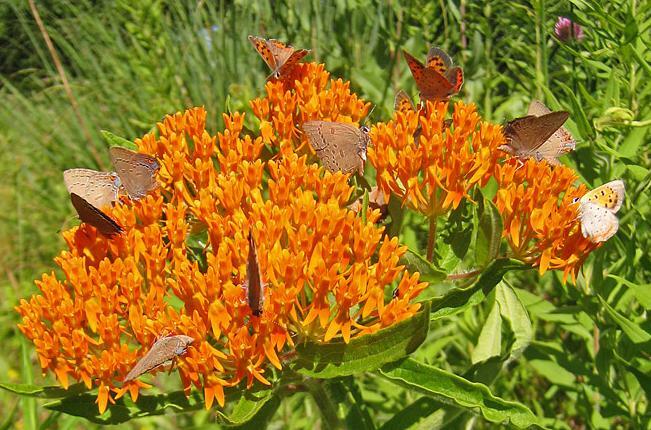 Participants searched sites such as the Ojibway Prairie Provincial Nature Reserve, Ojibway Park, Spring Garden Natural Area and Brunet Park and recorded an impressive total of 52 species of butterflies. The above photo was taken during the count at Spring Garden Natural Area. Many Edward's hairstreaks and American Coppers were visiting this flowering Butterfly Milkweed. Copyright © 2010. All rights reserved. You are on a City of Windsor Web Site.